From the creators of your favorite black stretchy pants comes an experience unlike anything else at SXSW. 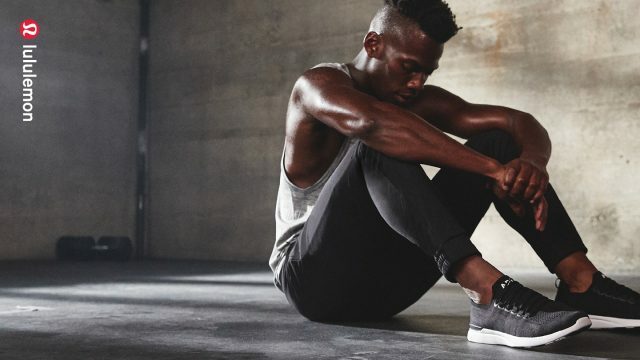 This year, lululemon will debut Embody, a collection of digital experiences that explore the connection between technology and mindfulness. Using immersive new technology, Embody creates an approachable — and inspiring — take on traditional mindful practices that is accessible for everyone. Enter the Sweatlife House, a unique lululemon experience letting you explore a playground of possibility. Relax, recharge, and connect through immersive experiences for the mind, body, and soul. Discover how your body is the most powerful machine at SXSW. Join lululemon for daily digitally enhanced meditation and multi-sensory yoga classes in their d’om, and enjoy great food, open bar and some surprises. Come visit the Sweatlife House at Clive Bar on Rainey and make sure to stop by the SXSW Wellness Expo for another lululemon experience. Register to Attend SXSW 2019!